This day and age it’s getting harder and harder to find a good auto mechanic. 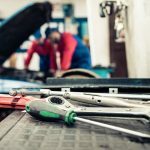 Cars are becoming more complex and the technology to repair your car is getting more and more expensive for auto repair shops to keep up with. Auto mechanics are now subject to more electronics in cars. The days of all the grease and oil are gone for the majority of auto mechanics. The new age is here of the automotive technician. Armed with a laptop, sorting through wiring diagrams and diagnosing the electronics of a car are now the types of repairs that are done on a daily basis. How much is it going to cost to fix my car? During a conversation with a customer he brought up a quote from his dad. His dad told him when he was younger and he was complaining about the cost to fix his car “If you think going to a good mechanic is expensive, try going to a bad one”. When you sit back and think about it, you’ll realize what he meant. A good auto mechanic may cost a little more to have the car fixed correctly the first time. He may even use a little higher quality part that costs a little more. But take your car to a bad auto mechanic, and you’ll soon find out that he’s guessing at what the problem is. He may even be using an inferior part. So when that part breaks or the auto mechanics guess is wrong, who do you think usually pays the second time? Unfortunately it’s the customer. When it comes to making the repairs after we diagnose the problem one of our trusted service advisors will work with the technician to make sure your car is not only repaired properly the first time, but the parts that were put in should last. Why choose Ness for your auto mechanic? We’re more than just an auto mechanic. When you chose an auto repair shop you really need someone who’s looking out for your best interests as a customer. Yes, a great technician is important but the rest of the team is just as important to make sure your needs are met. We’d love to have the opportunity to become your auto repair shop for life.